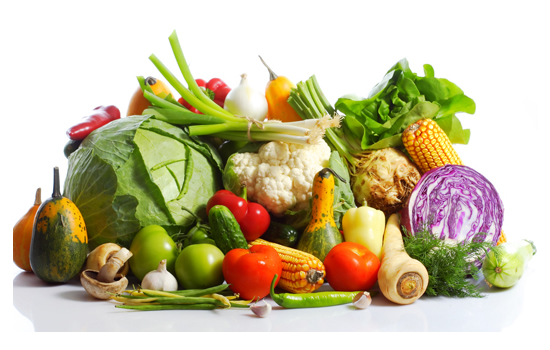 You can easily promote the healthy immune system by indulging in a varied mixture of fruits and vegetables. Also, a daily intake of 6-8 glasses of water will benefit. Garlic or onions are certain to help up the healing potential of a dish like chicken soup. By combining these flavorful healers it is possible to benefit from immunity and antiseptic compounds. Also, garlic is believed to help with clogged sinuses. Mushrooms are beneficial in a variety of ways and can help to up the creation of cytokines, which are needed to fight-off infections. Plus, they are helpful for supporting the immune system because of the polysaccharide content. A preferred mushroom for cold-fighting is the reishi, maitake, shitake, and shrooms. Citrus fruit contains a high dose of vitamin C. A healthy intake of this nutrient has the potential to cut cold or flu symptoms by nearly 22%. This is achieved with just 1-8 grams. Other foods with a hefty dose of vitamin C include red bell peppers, Brussels sprouts, broccoli, butternut squash, sweet potatoes, and papaya. A regular dietary intake of low-fat yogurt has the potential to cut the risk of catching a cold by almost 25%. Bacteria known as Lactobacillus reuteri are effective at slowing or stopping the virus replication that can attack the body when illness strikes. Even though yogurt is a reliable probiotic source, there are certain yogurts that have a much higher concentration than others. For this reason, an immune-boosting supplement might well be the way to go. Omega 3 fatty acid and vitamin D are other musts for immune boosting. Hot tea (black or green) offers a variety of health benefits and packed with potent antioxidants. Tea is appreciated for ensuring proper hydration and helping to thin mucus. Ginger offers a variety of health benefits for those feeling sick. This herb helps to naturally relieve fever and pain, as well as helping with a scratchy throat. A chemical included in ginger known as sesquiterpenes can help to fight-off the common cold. Easily ingest this herb by drinking ginger tea or shredding ginger root and adding to regular black tea. Honey is quite soothing and instantly coats the throat to give a natural solution to sooth the discomfort that comes with a ticklish and sore throat. Plus, it is packed with antimicrobial and antioxidant properties to fight-off health issues related to fungi, bacteria, and viruses. The honey with the highest antioxidant level is buckwheat honey, while the lowest is the regular store-bought clover honey. Although, honey shouldn’t be given to young children as their immune system isn’t fully developed and can have a negative impact from infantile botulism which is found in the honey spores. Black pepper contains peppercorns that have a high concentration of the pipeline, which is believed to offer the benefit of relieving pain and fever. Add flavor to a recipe with a spice like oregano, sage, rosemary, thyme, garlic, etc. to not only improve the taste of a dish but also to boost the immune system. Thanks for the article. I take garlic in supplement form daily to boost the health. I couldn’t take it raw, so capsules are the next best thing.